A fan’s famous last words. It was all coming together during the end of last season. Alan Irvine had finally unleashed the diminutive figure on opponents in ways Alex Neil never really knew how to or if he did, he still preferred Wes Hoolahan. Then the board brings in Daniel Farke. A German with a love for using two number 10’s to support a sole striker – the perfect scenario when you’re gifted with Pritchard, Hoolahan and James Maddison. His appointment would answer the dilemma Alex Neil was dealt with but could never really solve, and though understandably there were times where using Wes and Pritchard just didn’t or wouldn’t have worked, there were too many times it could have if he had tried. And then Cambridge United happened – a game that would see Pritchard out until Christmas. Or mid-November as a tweet in reply to Daniel Farke’s press conference comment ahead of the Sheffield United game suggested. Was Pritchard just referring to light training? Or did he in fact let the cat out of the bag? With Hoolahan turning 35 last May, Farke knows 90 minutes week in, week out will be a big ask of the Irishman and whilst everyone hopes Wes will become the next Benjamin Button, in reality, Norwich will have to start looking elsewhere for such quality on a regular basis and their options couldn’t be any more exciting. With Pritchard, we have an almost proven like-to-like player (height included) and when it comes to Maddison, you only have to look at his season so far to know the impact he has made to the team. Though many questioned Alex Neil sending Maddison to Scotland last season, it made sense. He preferred to play Wes Hoolahan and had a like-for-like proven Championship player in Pritchard waiting on the bench. With chances limited, the move gave Maddison a chance to get further first team experience at a level somewhat equal to second and third tier of English football. Maddison also didn’t have a full season at League One under his belt. He joined City having only featured 24 times for Coventry City over the course of two seasons (14 of those appearances coming from the bench) and whilst the 2015/16 season was meant to see the young midfielder get his real chance as a first-team regular, it was only after he was loaned back to Coventry that it happened, after an ankle injury disrupted earlier plans. Now with Pritchard absent and Hoolahan rested more regularly, it falls on Maddison to grasp the opportunity with both hands, which to his credit he has. In my last piece for MFW, I wrote about balance and its importance. Within that, although I highlighted the need of two defensive midfielders, I also highlighted Farke’s need to balance his attack. Sometimes (against Millwall, for example) playing both Hoolahan and Maddison (and/or Pritchard, when fit) will simply not work out, especially when physical players are the requirements for such game. We’ve seen it fail several times in the last two seasons. But then there are times where a line-up identical to the one against Millwall would be a thing of absolute beauty. But playing neither of them is one of the biggest risks Farke could take this season. Although defensive errors ring true when it comes to Aston Villa or Millwall, they and even City’s draw against Bristol City are also warning signs are showing as to why a player of Hoolahan’s, Pritchard’s or Maddison’s calibre is needed to play in the majority of situations – maybe both players or maybe just one of them. They are playmakers, the traditional number 10. They are given a chance to roam rather than stay fixed – even when on the wing they’ll cut inside. They instigate getting play forward through their trickery and ability to find space. They are the ones fans look to provide that final ball that will lead to a goal, the ones who will look to lay it all on the plate for the striker to score. Their through balls are a lone striker’s dream to chase, whilst they’re also experts of the set piece and crosses into the box. And not forgetting, they don’t mind having a go themselves from outside the box. Although many will find it easy to forget the majority of August after a positive September, the Villa game is possibly the easiest to describe when it comes to this mini dilemma. There was a lack of creativity from City, they remained unsettled for the most part and when an opportunity seemed to have arisen, it was largely at the hands of Josh Murphy who tried to fill the void left by the missing Maddison and Hoolahan. On the left, Murphy was the one to find space and threaten Villa’s defence after being on the end of crosses, while acting as a striker when Cameron Jerome dropped back in midfield. It became clear that if anything was going to happen, it was up to Murphy to create it, with even the build up to his goal skipping the entire of midfield, after he found space to receive Harrison Reed’s cross. Though on paper a physical team was needed to compete against Villa, City struggled to make their dominating possession equal shots, with those on hand to deliver such key passes being Murphy and Reed. Whilst in their defeat against Sunderland, it was Maddison and Hoolahan (in his short time on the pitch) who provided the most key passes equalling in a shot. A clear pattern of making possession count is repeated throughout almost every game in September – though limited against Middlesbrough and Bristol City: Hoolahan dominated at Burton with six key passes, Maddison had the highest amount of key passes against Sheffield United (3) and most recently, against Reading (3). Though that is not all a playmaker will bring – to my surprise this season. As the season goes on, Maddison has become that link between the defence and forwards when playing in central midfield. It’s not unusual to see the 20-year-old drop deep into midfield, a position he’s occupied several times already this season, and despite City’s defensive struggles earlier on in the season, Maddison has played a key role in carrying out his defensive duties. And whilst many fans recognised Farke’s choice to play Wes in his less favoured place on the wing meant the 35-year-old was less effective than we’ve come to know, it cannot be forgotten that Hoolahan contributed heavily to the defensive side of City’s victory before his substitution. Though Pritchard’s return to action will trigger questions due to the sudden overload of players who can play in similar positions, he may also help seek a solution to this problem. He may still be working on the defensive side of his game but his versatility is something that has been highlighted throughout his career, whether that be playing on the wings more often than not during his loan spell at Swindon or dominating in attacking midfield during his Brentford loan spell. Either way, Pritchard has seen success in being directly involved in his team’s goals – though preferring the number 10 position, his record speaks clearly. Last season, of his seven goals, six of them were from playing in left midfield, whilst of his twelve assists, six of them were from attacking midfield, the others being divided equally between left and right midfield. At Brentford, he rarely shifted from his central position, with then-manager Mark Warburton allowing the playmaker to play freely in midfield, seeing him rack up eleven goals and seven assists. Albeit in League One, his time playing alongside a strong Swindon team on loan in 2013/14 speaks loudly for his ability across midfield. Divided between positions, he was primarily used in left midfield, where he racked up five assists and one goal – though his time playing in right midfield resulted in three goals in eight appearances and centrally seeing Pritchard score four and assist six in ten appearances. Though Maddison has also played on the wings in his career, it’s become clear Farke prefers him to keep him as a number 10 and place Hoolahan on the wings instead. It’s a risk, you either get the full impact of playing both or an ineffective Hoolahan, but is it a risk worth taking? In comparison, when Hoolahan and Pritchard both played under the management of Alex Neil – Hoolahan was rarely deprived of playing as a number 10, with the majority if not all occasions seeing Pritchard play out wide. Whilst the majority of times Pritchard played as an attacking midfielder, he had replaced Hoolahan as a substitute or vice versa. Everyone knows that when Pritchard returns for mid-November/Christmas/New Year’s/2018/whenever, we’re in for something special if he starts where he left off. We’ve been treated to the tricks of Maddison and we’ve seen Hoolahan’s on hand to play his part for the team whilst overlooking his apprentices and graduates. Now it’s simply up to Farke to find a way to never deprive the team of Hoolahan’s abilities, and certainly always remember to include a playmaker somewhere in the team. The older readers amongst us will remember teams playing with No 8s and No 10s in the creative role. They used to be known as inside forwards! A good article on the playmakers, Emma, thanks. We have certainly been blessed in that position of late, but the issue has been how to use the playmakers effectively. Lambert used Hoolahan very well, but it is arguable how well he has been used since. Neil last season was criminal not to use Pritchard more, which Alan Irvine showed up well, as you noted. And thank goodness for that, or we might not still have him. This season’s revelation has obviously been Maddison… but again we would not have seen the revelation if Farke had not been smart enough to use him differently to the traditional number 10, and thank goodness for that. It will be fascinating to see how the three players are accommodated once Pritchard himself returns. It is Wes that looks like he will be used less. Even against Reading, where Maddison captured the headlines, it is interesting that Hoolahan’s role was much more peripheral, with his more isolated wing position… I hope mostly that we still seem playing influential roles on occasion this season, but it seems likely increasingly less often as his two apprentices become the new masters. An insightful article. My personal preference is for Maddison and Pritchard together in tandem, presumably with the stone wall of Germans and a Norwegian in behind. If Farkes apparent penchant for tactical nous and pulling consistently good performances out of good players (Klose, pinto, Trybull et al) continues, there is a chance he may be able to find the goals that so far elude the new look and far more defensively stable City. An excellent read and a great summary on the number 10 position. I am a bit concerned that everyone is exspecting Pritchard to be the answer to the goal scoring problem. I am old enough to remember first team reserve games where injured players start to get fully fit and up to speed against other first teamers in similar position to them, the system now isn’t geared up to this and returning players come up against unproven 18/19 and 20 year olds. Lets not put to much pressure on Pritchard to preform at his highest level straight away he will need time to get match fit and his timing might be off so give him time. Lets hope he is able to return sooner than exspected and that he answers all that will be put to him on the field of play and if he isn’t up to speed in his first few games he isn’t written off. Interesting read.I guess my most pressing concern is not the No 10 but right back, which I have been concerned about for some time.As well as replacing Hoolahan, Martin needs replacing.In the event of an injury to Pinto,we look exposed.I hope this is addressed in the next transfer window.I think Wildschut is more of an attacking asset than a defensive one.Pinto’s doing a captain’s job and is a big part of our success but I worry what would happen should he sustain another injury. I am reading that both these loan players are likely to have their loans extended to the of the season! Who is making these crazy decisions and why is he ,or she, still with the Club.? It really beggars belief.I could understand it if we had a defence ,and isn’t Dorrans injured long term, Mulumbu off to the ANC and haven’t Wes and Brady lost interest? The above is a comment I made to another website at a time when my hopes for the future of Norwich City were at an all time low . 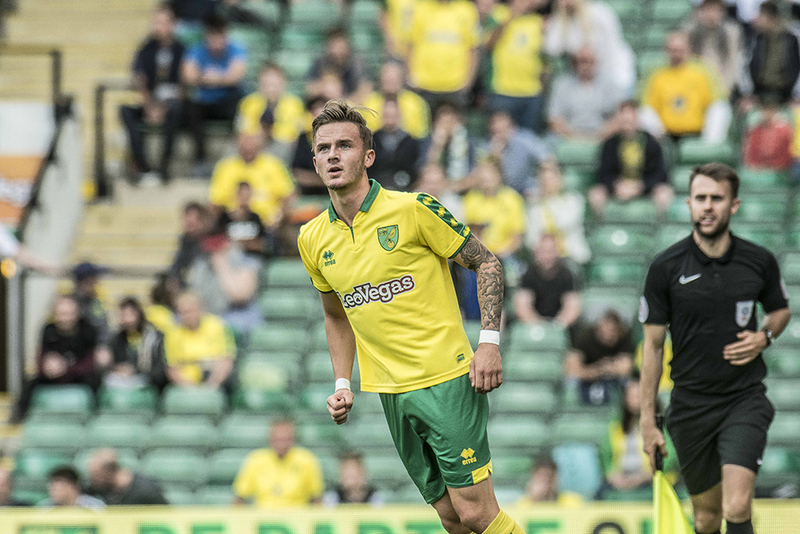 I am delighted that James Maddison is back playing for the Canaries and displaying the talent that most of us ,except Neil and Moxey presumably, could see from the start . If we can hold on to him he and Pritchard hold the key to our creativity for years to come. 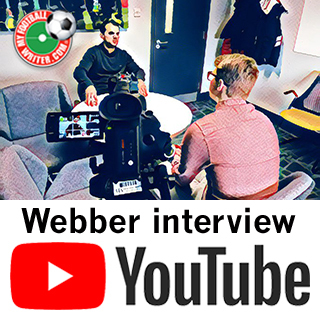 By the way how refreshing to hear the words of Stuart Webber in the last few days. A man who understands football, speaks common sense and has the courage of his convictions. If he does’nt watch out he ,with the help of his chosen man Farke ,will recreate the fervent support that we all enjoyed at the height of the Lambert era. SW is one of my new heroes….BUT anyone with an eye for a talented footballer could see JM’s ability from a mile off. Take a look at the YouTube clips from when he was about 8! The guy is absolute class. Daniel F obviously clocked this after just a few preseason sessions, hence the new extended contract. When he goes, it will be to a really top club…For a huge fee. Let’s hope he helps get us promoted first!